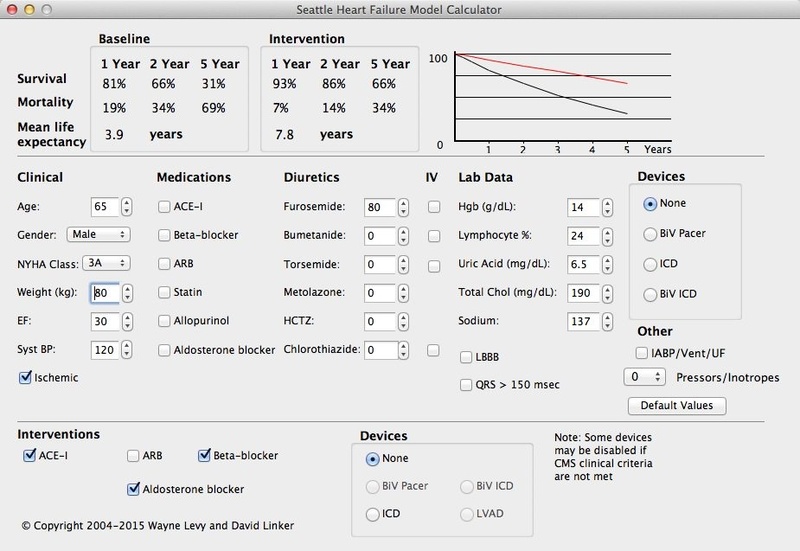 This Mac OS X® version of the Seattle Heart Failure Model calculator is a release version (2.1), and is available for download by health care professionals. This version will not expire. This version will only run on newer Macintosh® computers using an Intel® processor. Note that the version for PowerPC is no longer supported or available. NOTE: If you have problems downloading the Mac OS X® version, try pressing the control key while clicking on the link above, and then choose to download the file in the menu that comes up. Double click on the disk image file. Drag the file inside the window that appears to the location you want for the program. For most users, this will be the Applications folder. You can now drag the disk image to the trash to unmount it.